To bring people into the city over the Summer and encourage them to engage with the cities retailers. Melbourne literally has something around every corner, every nook and cranny is filled with points of interest, restaurants, shops and things to do. 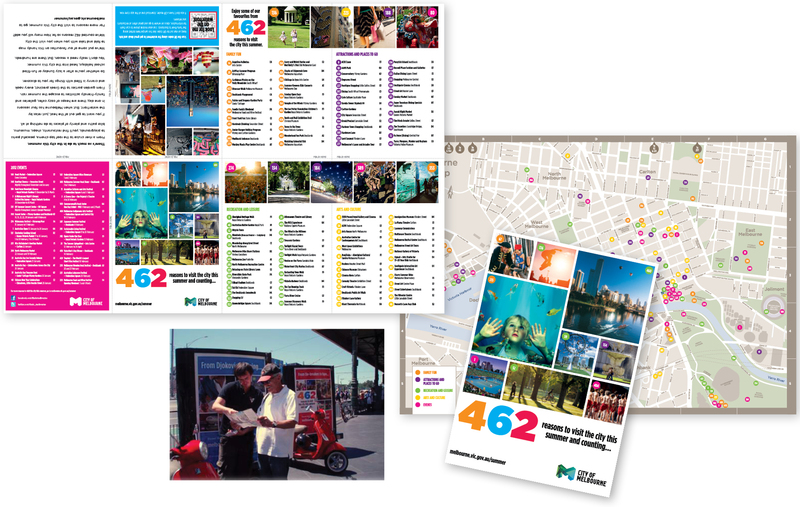 So there is more than one reason to visit Melbourne, there’s 100’s. We created a campaign that demonstrated the breath and experiences on offer. Melbourne is a city that is all about discovery. 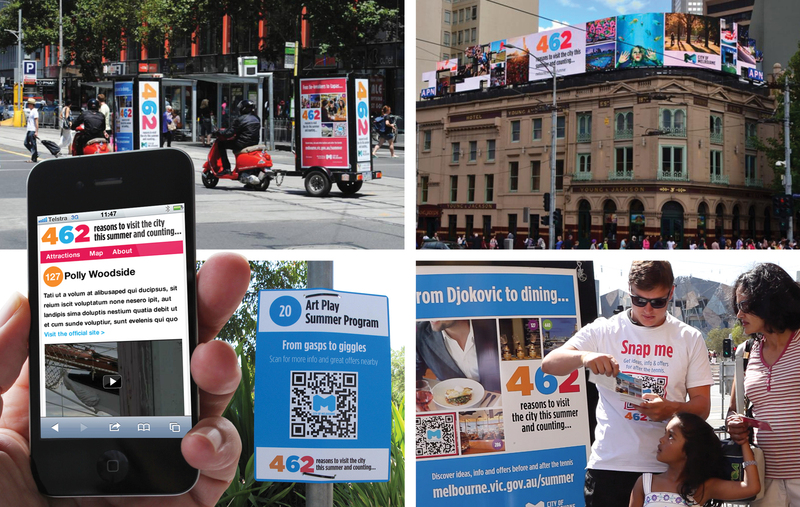 We created an integrated campaign using traditional, interactive and social media to create awareness and drive people into and around the city.